Most radio telescopes have a traditional dish shape, such as Arecibo or Parkes. But there are other forms a radio telescope can take, for example the radio antenna on your car. You might not think of your car radio antenna as a telescope, but in a way it is. It’s an omnidirectional radio receiver, which can be used as a radio telescope. It does have a few problems, however. One is that your car radio is tuned to a frequency range used by radio stations. So any signal from space gets overwhelmed by radio stations. That can be corrected by using a receiver for different frequencies. Another problem is that your car antenna is omnidirectional. It needs to be to pick up radio stations from any direction, but that means you can’t determine the direction of a radio signal. That problem can be solved by using an array of omnidirectional antennas and connecting them together. With multiple antennas, you can time the radio signals as they arrive to determine the direction of the radio signal. It’s similar to the way your ears work together to determine the direction of a particular sound. The reason omnidirectional arrays aren’t often used is that it difficult produce detailed images with them. But now a new new array of omnidirectional antennas known as LOFAR has resolved this issue. LOFAR is an array of about 25,000 antennas spread across Northern Europe. The signals from each antenna are digitized so that their data can be combined to create a directional image. It takes a great deal of computing power to integrate the signals, but that is also to its advantage. Since the antennas are omnidirectional, the directional imaging is done by the software. LOFAR doesn’t have to “point” in a specific direction like dish telescopes. So the same data can be used to create images in different directions via software. Because LOFAR doesn’t need to focus radio signals with a dish, it can capture detailed signals at lower frequencies. It’s targeted at frequencies below 250 MHz, and just above FM radio frequencies. We haven’t had high resolution images at this frequency range, so this is a pretty major advance. 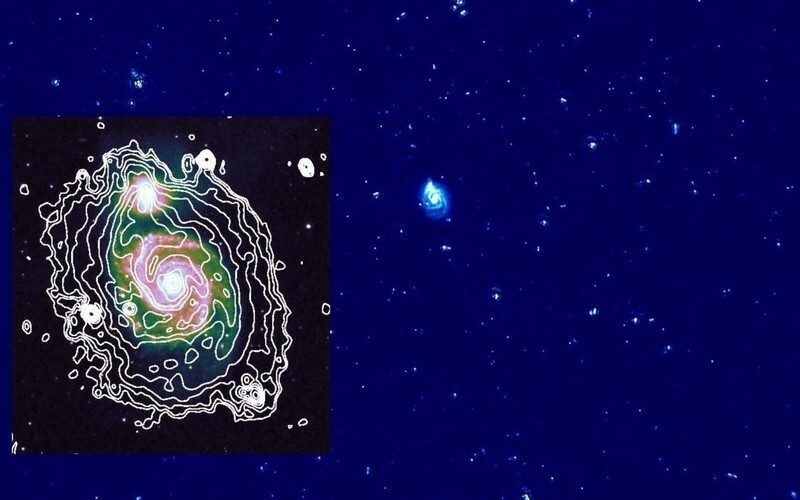 For example, in a recent paper in Astronomy and Astrophysics, the LOFAR team produces a high resolution image of the Whirlpool galaxy, which you can see in the image above. In the future LOFAR will be able to study not only galaxies, but things such as the hydrogen emission of distant (and therefore highly redshifted) objects. 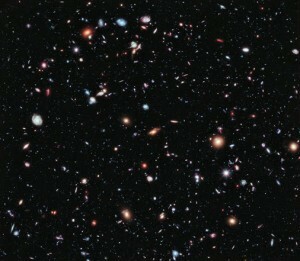 It may even help us see the early light from the first stars of the cosmos.